We see innovations in football every day, from futuristic sportswear to goal line technology and the Virtual Assistant Referee. Kits are designed to regulate temperature better, boots are designed to keep players comfortable, and masks are worn to help protect facial injuries. With all these improvements and advancements for the players’ kits and equipment, have other aspects of the beautiful game been upgraded too? In particular, how has the ground the players play on been changed, and has it impacted the game? We look at some of the biggest changes to happen to the football pitch, as well as some notable changes to the stadiums themselves. It might have been a spectacle, but it wouldn’t make for a good game of football — enter undersoil heating. It wasn’t exactly a smooth process; pipes of hot water running under the pitch, or big polythene tents were used to try and keep the grass free of frost, but they weren’t very cost-effective or indeed, effective at all. Eventually, electric wires under the turf turned out to be the right way of going about the issue. This, along with better drainage systems to help with the melted snow and frost, began to slowly be picked up around the country. Artificial turf is still used in some lower league football club pitches, as well as community football pitches, and around the world. But the use of artificial turf has been banned by the English Football League; in fact, keeping the plastic pitch can see clubs relegated instead of promoted to the league! The problems cited range from claims that the plastic turf impacts the way the ball behaves, to the impact it has on a player’s health and rate of injury. 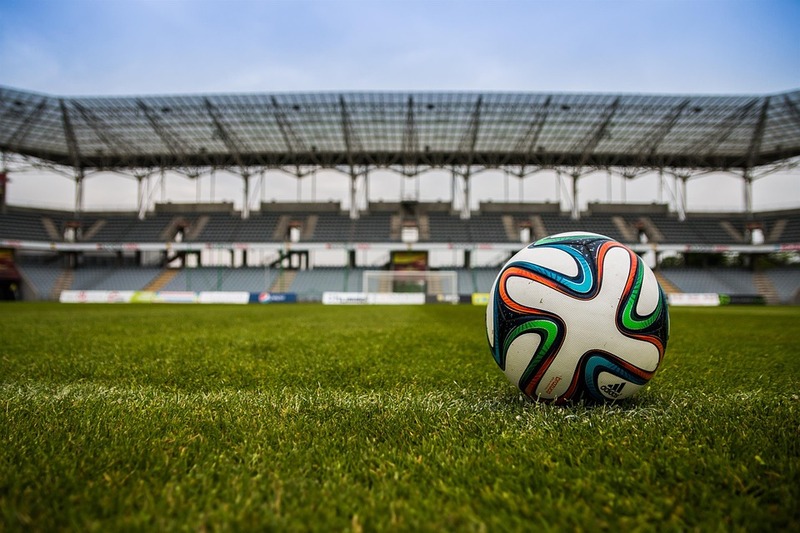 Concerns around the harder nature of artificial turf and the shock of impact causing potential ligament injuries have led to their lack of use in higher levels. 2G — a sand-based surface with short artificial grass. This is best used for hockey, rather than football, as the surface is hard. 3G — this generation saw a switch to shock-absorbent rubber “crumb”, which form a layer of black beads among the fake grass. Unlike 2G, 3G is safer and more suited for football. 4G — this surface does away with the rubber crumb used by the previous generation. But this is an unofficial generation of artificial grass, as it is not recognised by an official governing body. 5G — a further improvement on rubber crumb-less fields. Again, an unofficial generation. 6G — the latest crumb-less innovation. An unofficial generation. For a time, football pitches upped their game with dazzling patterns and designs cut into the grass. These amazing artworks were made possible thanks to the evolution of technology available. Fuelled by social media, grounds began to share photos of their incredible work on the pitch without a football! A club’s badge could be cut into the pitch, or intricate swirls and spirals. Alas, the fun was not to last, as the Premier League banned the creation of pitch patterns beyond the standard horizontal lines in the run up to the 2017/18 season. Though the designs may have toned down, the quality of the pitch hasn’t. The grass is anchored, cut to measure, supported with a spread of topsoil, and watered. The process is so intricate in order to keep the natural grass flourishing and strong through the winter that the groundsmen and groundswomen at stadiums have been noted as needing to be multi-talented across areas of science, engineering, and business. No doubt the pitch will continue to change to keep up with inventions and further modernisation of the game itself. There has been discussion of late, for example, of artificial pitches being reallowed, but that remains up for debate.